We know TBEXers are excited to see what Toronto and the surrounding area have to offer, both during TBEX and on trips they’ve planned before and after, but here’s the dilemma – with twice as many bloggers set to descend on the city as were at TBEX in Keystone, telling a unique story is going to be an even bigger challenge than it usually is. Rather than settle for letting your blog posts sound and look like every other attendee’s, then, it will be important to do your homework in advance to find story angles that will make your experiences stand out. To get more information on what to expect from the city and start to brainstorm your story angles, here’s an interview with Tourism Toronto. One of things that stuck in my blogging brain from the last TBEX conference was that wherever I go, someone will already have written about that place. To bring something worthwhile to the travel content space, I need to seek out new personal experiences and new stories in any destination that I visit. So when I heard that the next TBEX conference was in Toronto and reviewed what I’d previously written about the city, I realised that I needed some help as I had not brought anything new and personal to the destination on previous trips. That’s why I reached out to Andrew Weir, the Vice President of Communications for Tourism Toronto, for an interview on my Travel Bloggers Podcast. With an anticipated 1,000 travel bloggers coming to the city for TBEX Toronto, all of whom will be looking to write about the destination, the challenge for everyone will be to find an angle and perspective that will stand out. While asking an expert like Andrew specific questions about what bloggers coming to Toronto should know if they want to find new stories resulted in practical tips we can all use during our TBEX trips, I also learned some interesting bits of information about the city that helps to inform the rest of my planning process. I interviewed Andrew for my Travel Bloggers Podcast, and you can listen to the interview using the online player below, via iTunes, or via this link. 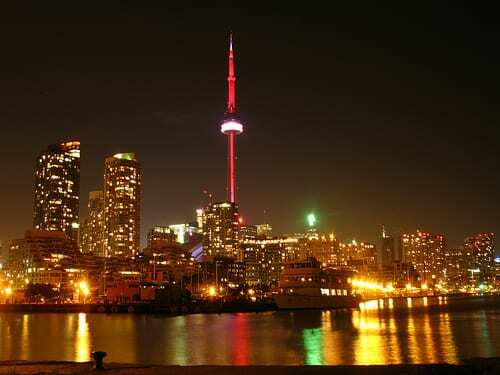 What is Tourism Toronto and its role. Events and activities happening around TBEX in Toronto. Advice and tips for travel bloggers visiting Toronto to attend TBEX to find their personal experiences and stories. Guest Post Author Bio: Gary Bembridge grew up in Zimbabwe, and has been London based since 1987. He has been travelling every month of every year for the last 20 years thanks to his job as a global marketer for Unilever, Johnson & Johnson and now a global brand consultant. He launched Tips For Travellers in 2005 with a podcast and blog to share learning on how to get the most out of every destination he has visited. His Travel Bloggers Podcast was launched in 2013. Thanks for posting. Hope bloggers coming to TBEX find it helpful! Andrew had great ideas and insights. Made me even more eager to get back to Toronto.